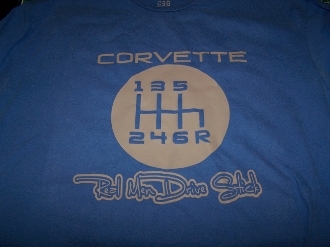 CORVETTE 6 SPEED REAL MEN DRIVE STICK T-SHIRT. CHOOSE SIZE AND COLOR. WE CAN CUSTOMIZE THIS SHIRT FOR YOU . JUST ASK.